Stories you need to hear. Yana Gilbuena, chef and creator of the itinerant and immensely popular Salo Series pop-up dinners, traveled a great distance on her journey to culinary cool – a path that spans multiple career arcs and continents, and sees the passion of youth blossom into a cultural touch-point for Filipino America. “Growing up, my grandmother had our cooks show me how to go to the market and shop for a menu, how to make charcoal and make fire in the outdoor kitchen. And my aunt was the one who really gave me a different perspective on cooking. For her, cooking was something that you do for pleasure. And when I moved to the United States, I felt very uprooted mainly because it wasn’t necessarily my choice to move here — and it was primarily my mom’s. Coming home and cooking was like therapy. It helped me bring back memories of growing up with my grandma. Just being able to focus on one task and then be able to create something is instant gratification,” she says. Raised in the Filipino kitchen through her cultured childhood, Yana’s next steps reconcile her education, her early career, and her passion for communicating the stories and dishes that sustained her upbringing. “I had a major car accident when I was 23, and that got me thinking that if I had died, what would have been my legacy, what would have been my impact on people? So I switched gears and went back to school to study architecture, and I was in the design industry for about 7 years, designing kitchens and baths and furniture designs, eventually moving to New York where I was moonlighting for a blog. They gave me all the food assignments, and I realized after attending a few pop-up dinners that a lot of them lacked a genuine sense of culture. I felt that there was an opportunity to do Filipino food in a way that for me was truly in the style of ‘Home,’” she says. For Yana, the sense of ‘home’ constitutes a critical aspect of both the Salo Series project and her approach to food as a philosophy, espoused in her recently published Kamayan cookbook, No Forks Given. 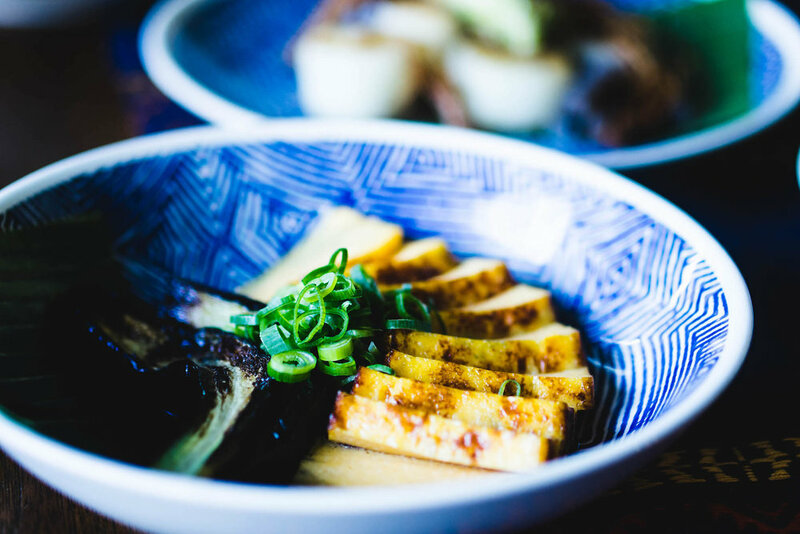 It’s a straightforward approach to cooking that stresses nourishing the spirits of the people around the table, as well as the pleasing their palates. “I see food as a way to express your identity and who you are. There is no hard definition of what Filipino food is – each person who cooks Filipino food is part of the tapestry of what Filipino food is. Together, we make this bigger picture that’s so diverse and so beautiful,” she says. Girded by a strong sense of community, the Salo Series project stands for much more than tasty, authentic Filipino food, presenting each dish as a site of interaction with the journey of a chef – and the histories that built her skills, passions, and perspectives. Written by Paul Barrera. Photography by Albert Law. 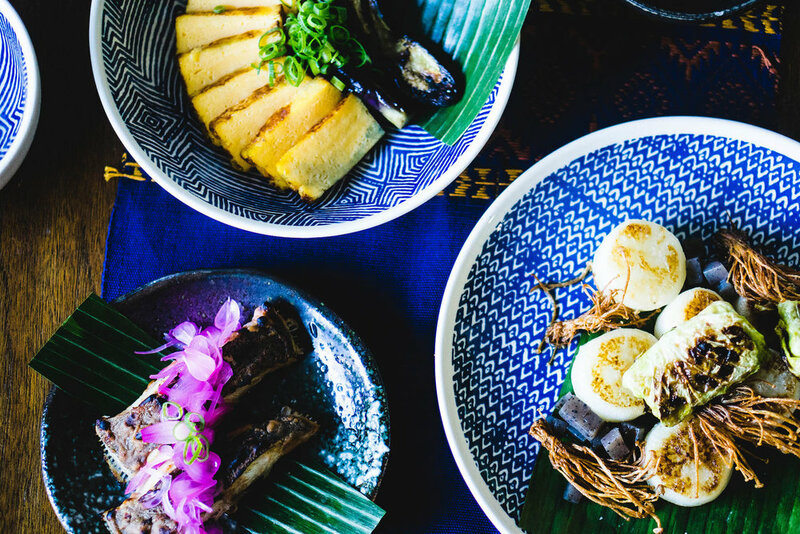 Mark Pecson, chef of the brand-new pop-up project Aliwang Lutu, doesn’t hesitate to identify his Filipino childhood as the genesis of his interest in the kitchen. 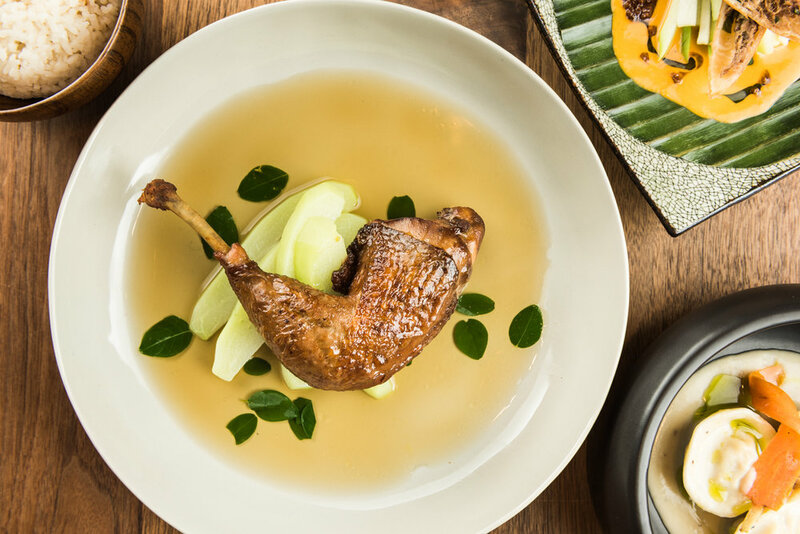 And paired with formal French training in one of the world’s premier hospitality destinations, Mark’s culinary perspectives invite refreshed experiences of Filipino cooking that’s classically rooted in the family table. “I graduated from culinary school in Las Vegas a few years ago, and worked in a French restaurant for a year at the Cosmopolitan Hotel. Those experiences taught me foundation and finesse, and a great deal of discipline in the kitchen. After applying those techniques to Filipino cooking and foods that I've been around my whole life, my career really took off from there. But just like any other Am-Boy, it was the cooking of my Apu (my grandmother), and my family that inspired me to really delve deeper into my culture and the cuisine,” Mark says. 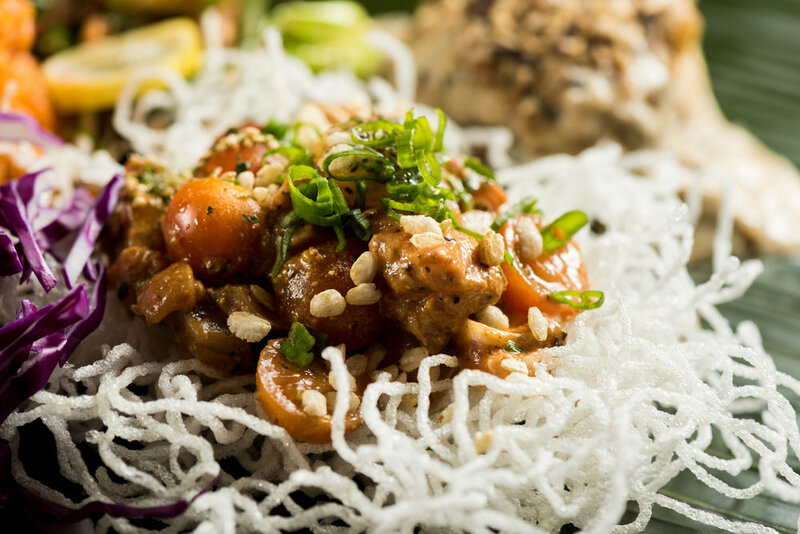 Using French methodologies to express Filipino flavors, Mark’s cooking honors traditional perspectives by introducing preparation and presentation techniques more closely tied to boutique restaurant experiences, rather than Filipino family parties. Understanding this process as a show of deep reverence for the familial dishes that form his culinary foundation, Mark explains the name of his project. “This will be my first dinner under the name: ‘Aliwang Lutu.’ In my family’s native language, Kapampangan, the phrase means ‘a different style of cooking.’ Filipinos are notorious for remaining strictly traditional when it comes to cooking and eating their cuisine, so in itself, the simple act of speaking the name of my project has a certain weight to it, for certain audiences. I believe that introducing my style of French finesse and aesthetic plating techniques will open the door to new ways of enjoying traditional Filipino dishes for my guests,” Mark says. Appreciating new ways of doing things – for example, sitting down to a familiar dish prepared in a different way – requires a cultivated ability to loosen the mind and release established ideas of the way things have been done in the past. 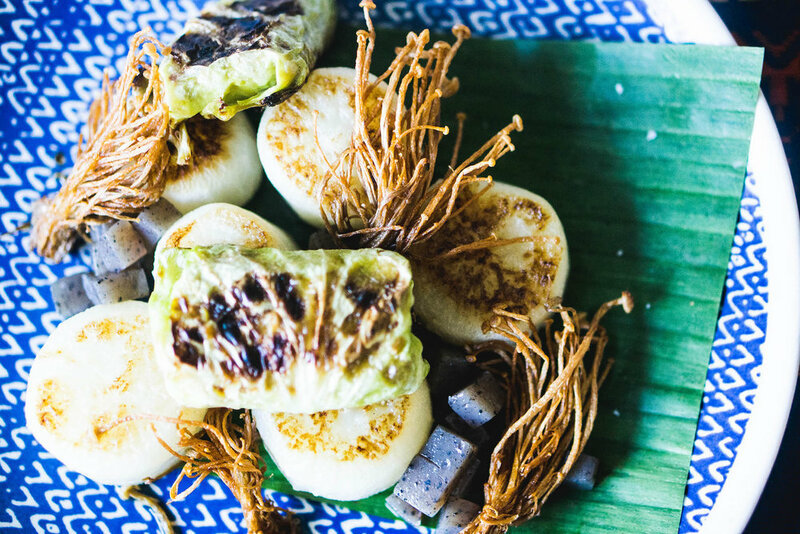 Fortunately for Aliwang Lutu diners, Mark’s done all the rigorous work of research, ideation, and testing, resulting in approachable dishes that prize experience and smiles as much as excitement and innovation. “Inspirational food, for me, has to be tasty, eye-catching, and creative. My cooking style has always been about trying to create a paradox between traditional dishes and flavors, and making it different in more than one way. 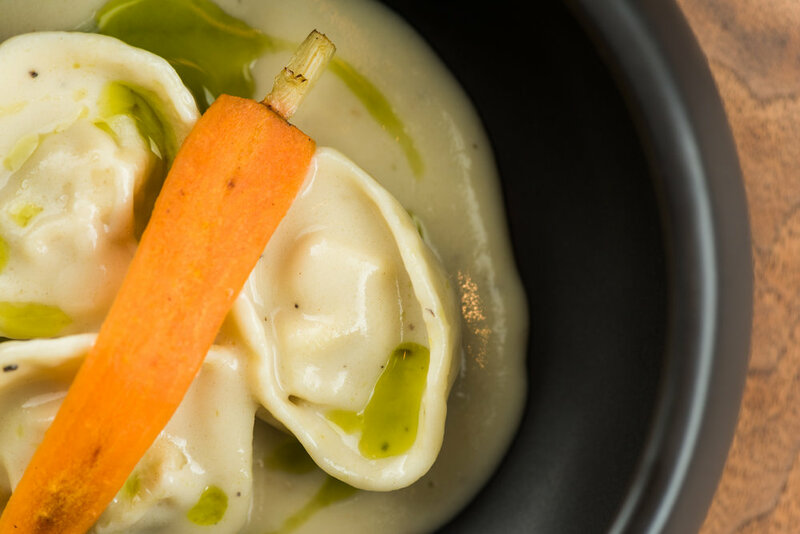 I find lots of food ideas from high end restaurants, trying to apply a level of finesse and honing in on the concentration of flavors, all while breaking down how chefs innovate with ingredients on the plate,” Mark says. Importantly, Mark’s vision isn’t just limited to what’s for dinner. He recognizes the impact that projects like Aliwang Lutu and Kulinary Confidential have on individuals, and how those relationships and stories translate into greater strength for the Filipino community and SOMA Pilipinas. EJ Macayan and Hitomi Wada, the team behind Japanese-Filipino pop-up project Ox & Tiger, understand the value of knowing where you come from, turning knowledge from elders into useful solutions for the present. “I grew up with both sides of my grandparents, so I was surrounded by many cooks. They had rich gardens in their backyard, and I would help cultivate and harvest the produce. This continues to have a significant impact on me as a chef, as I am always trying to figure out ways to serve the most fresh produce, [because] growing up I had no fear in trying something new. My palette was very open to the different flavors our cuisine had to offer. Fast forward many years with many family parties with lots of food, I put myself into culinary school and never looked back. I wasn't sure where it was going to take me, but I knew how much I loved to eat and decided to choose the path that would let me do at least that,” EJ says. EJ also credits his grandparents’ cooking with formational influence on his cooking and his early appreciation for a wide range of flavors. “Living in Salinas, CA and spending a lot of times with my grandparents, I was surrounded by farmland and the ocean, My favorite dish was Pinakbet, and the ampalaya was the best part of it to me. The bitterness was so extra, it laid a strong memory that wasn't harsh but interesting enough to keep eating. I also loved eating grilled mackerel and rice with tomatoes and patis. 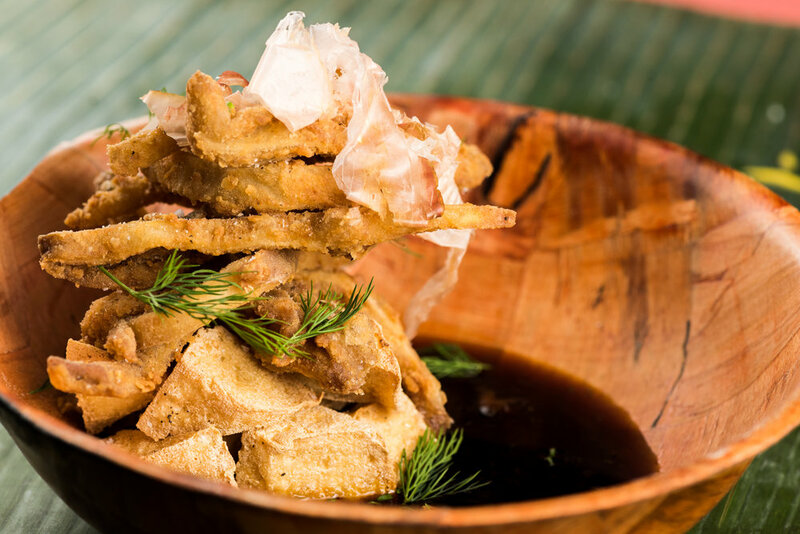 I started to love vinegar when my uncle gave me Jicamas and salt vinegar as a snack. From then on, pickles were a staple for the rest of my life. My family introduced me to all the flavors of our cuisine, but the sourness was what attracted to learning more about our food. For this reason, you will most likely taste something sour in the dishes at Ox & Tiger,” EJ says. 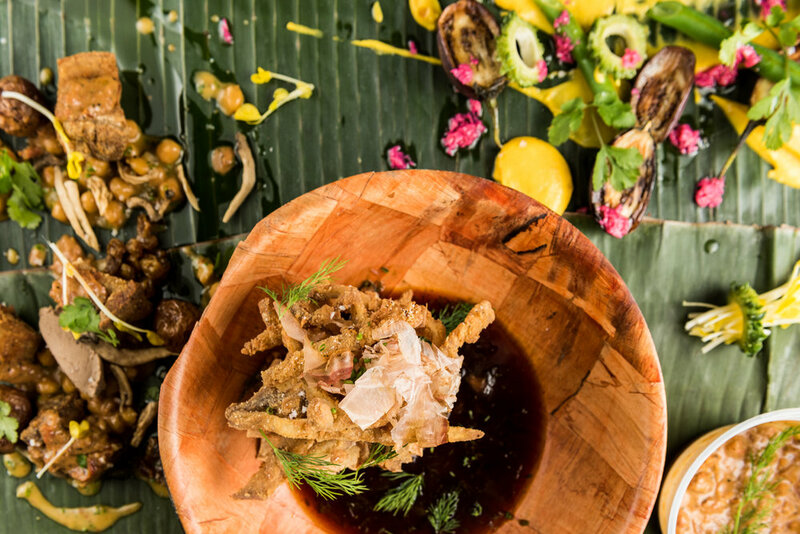 With a foundation in well-known projects like Rich Table, Yuzuki Eatery, and Fat Rice, the team has firmly set down roots in the Bay Area primarily because it is a hub of a surging wave of Filipino culture. 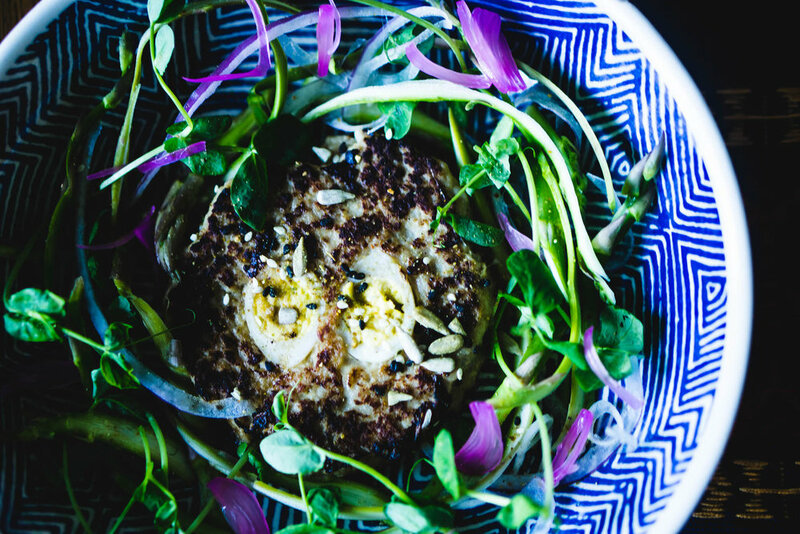 “I cooked a lot of food at Fat Rice that reminded me of my childhood. There were a lot of similarities in flavors and regional ingredients that I wanted to reconnect with. I was cooking with so many different flavors but felt like there was something missing. I slowly realized that I didn't have a platform to share our Filipino cuisine and how it is entertaining and flavorful as all of the food that is out there. This really guided our decision to move back to California and to be a part of the Filipino movement that was surfing the nation,” EJ says. Importantly, the team doubles down on the importance of community in the formation of the Ox & Tiger project, citing personal relationships in the Bay Area alongside the region-wide movements as key motivators for heading to Northern California. “Cooking for one another was something that made me feel at home with Hitomi. Being able to share something about my upbringing and my family to her was something that meant a lot to me. Coming back from Chicago, we were on the outside of the Filipino food scene in the Bay Area. So I started working with long-time friends JP & Kristen at The Sarap Shop. They introduced me to the community, and I was able to meet one after another welcoming us in like we were already part of the movement. The Sarap Shop is a major reason for us being where we are right now. Without them Ox & Tiger would still be a dream,” EJ says. With their dream now a reality, EJ and Hitomi look to share the spirit of the communities they grew up in with the SOMA Pilipinas community at Kulinary Confidential – bringing the flavors and experiences they’ve cherished with their friends and family to a new group of friends and family. Written by Paul Barrera. Photography by Evelyn Obamos. 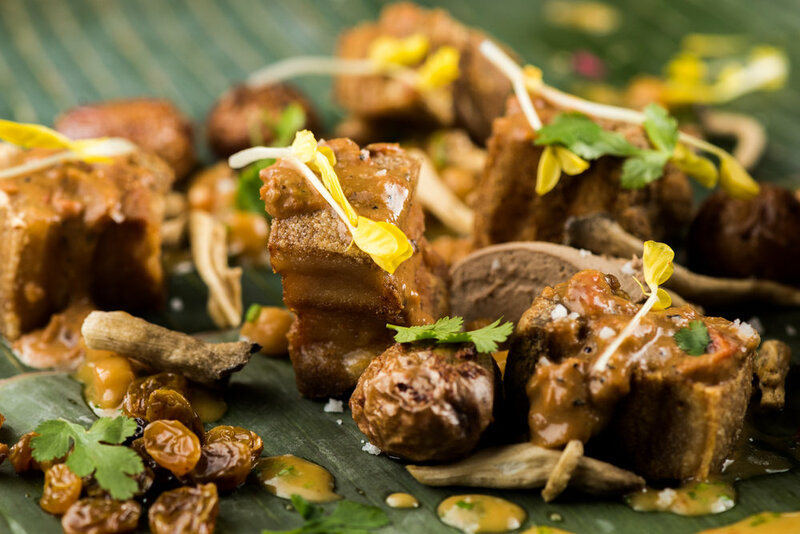 Rod Reyes, chef and creator of Barya Kitchen, stresses the importance of food reflecting our stories – who we are, where we come from – in creating memorable and authentic eating experiences. “In the summer of 2017, my mother passed, from cancer. My mother was known as the cook – not just for my immediate family. She cooked for all the family gatherings, from birthdays, graduations, to holidays. My sisters and I would assist with prep work in the kitchen. When I was in middle school I took home economics and learned basic cooking skills. Eventually, that turned into a lot of cooking for my family, friends and myself. So I’ve always enjoyed cooking for others though, for as long as I can remember. And as a form of coping with my mother’s death, I would try to replicate the dishes that she taught me, or dishes that she would make for the family. I found myself tweaking recipes and turning them into my own re-interpretations,” Rod says. Experimenting with his mother’s recipes got friends excited what he was creating, and eventually Rod’s network produced an opportunity for him to do a pop-up dinner at Hometown Heroes in South San Francisco – the genesis of what’s now Barya Kitchen. “At that point, I realized I’d known my niche the whole time – the food that I grew up eating, my comfort food. Since then, we’ve been doing pop-ups between San Jose and San Francisco,” Rod says. Rod also points out the influence of his Filipino-American upbringing on the way he’s interpreted his mother’s recipes and techniques, and how he tends to view his cooking as something that’s not restricted to traditions, and exists as a way forward for the food that’s so crucial to his identity and that of Barya Kitchen. “It wasn’t always JUST Filipino food for us. My younger sister and I were first-generation US born, so it was a lot of back and forth from Filipino food and American food. Growing up in the Bay Area, we were exposed to all kinds of different cuisines, from eating at restaurants to eating at friend’s houses, where they came from different backgrounds. I think it starts with being curious and having that openness to be wiling to learn new things. I’ve always been an observer, so even before realizing that I enjoyed cooking, I would watch how my mom, dad, and grand parents put together the dishes that they would cook,” Rod says. Still, Rod traces careful connection back to community and its central role in the purpose of Barya Kitchen and of Filipino food – a vehicle for people to gather around a shared feeling of enjoyment and togetherness. “Food brings people together. In a sense, food equals community. Food, especially in the Filipino culture, is the major staple of community life. It ties every aspect of ‘community’ together. Filipinos are some of the most hospitable and giving people you will ever meet, and if you ever step foot into a Filipino home, 100 percent of the time there’s going to be something offered to eat. It is an absolute standard in Filipino culture, across the lines of class, religion, and even nationality,” Rod says. 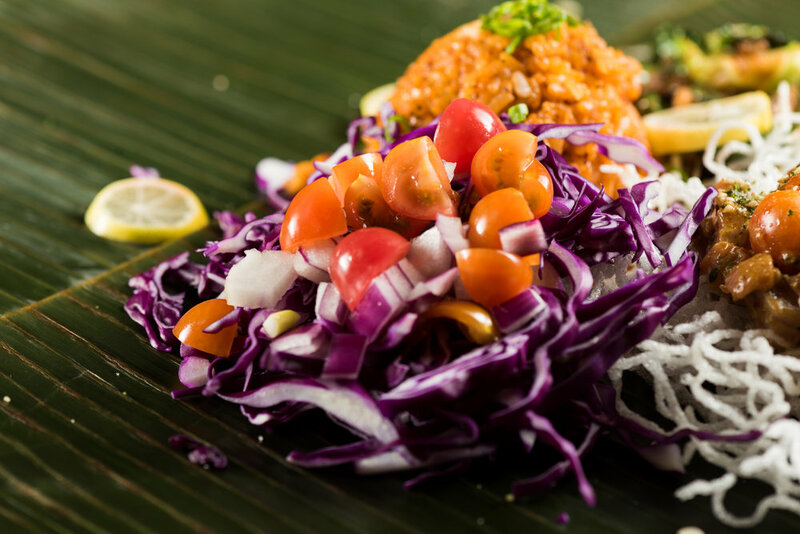 It’s a refreshingly pan-Filipino perspective that finds its way onto every plate that comes out of Barya Kitchen, informed by an understanding of what Filipino people can create for themselves, even if the place they call home is far from the Philippines. Written by Paul Barrera. Photos by Albert Law.